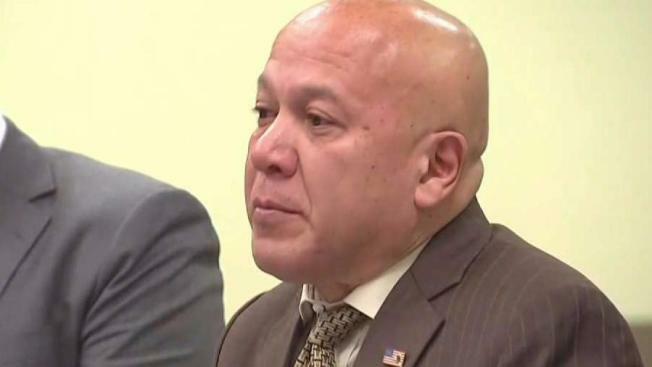 A judge has sentenced former Paterson, New Jersey, mayor Joey Torres to five years in prison after he pleaded guilty to conspiracy charges in a corruption case sparked by an I-Team investigation in 2016. The judge handed down the sentence Tuesday with no parole, but later said she didn't object to Torres applying for the Intensive Supervision Program (ISP). If he were accepted to that program, he could be released after six months and then be out for a longer, more scrutinized parole. The program has the authority to deny Torres' request, though, the judge noted. A tearful Torres apologized and said he was embarrassed just before he was sentenced. The Democrat said his lack of judgment led to the charges. Torres, meanwhile, has been replaced by City Council President Ruby Cotton until the May 2018 election.